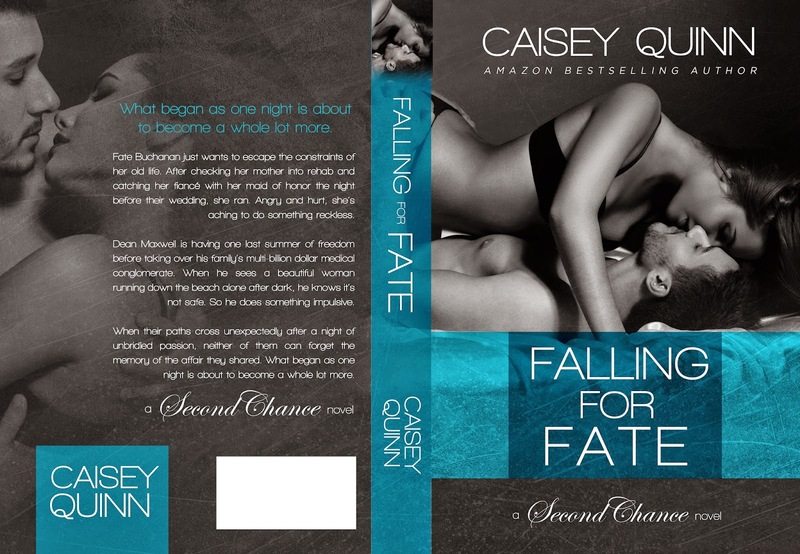 The second book in the Second Chance series by Caisey Quinn has a cover! While the series is made up of standalone novels featuring different couples, it does center around a location: The Second Chance Ranch, a drug and alcohol rehabilitation facility owned by Trace Corbin and Gretchen Gibson from the Kylie Ryans series. Here's what Caisey had to say about the series! Caisey: I really love writing this series because with each new novel I get a new story to build around the ranch. The overlap between characters in each book is a lot of fun for me, even though readers don't always catch them. It's almost like a hidden treasure. For instance, Fate's mom appears briefly in Van's story (Last Second Chance), but as the books are released approximately 3-4 months apart, not everyone remembers those details. It's such a treat for me knowing that they're in there! Readers have asked if they will see Trace and Kylie in this series and they will! Trace will pop in from time to time and then towards the end of the series they'll both attend a celebratory dinner at the Ranch. While Last Second Chance was pretty hot, with tortured soul musician Van Ransom, Falling for Fate is a bit on the sweeter side. Though y'all know me, there will still be plenty of steam! Dean and Fate have a chance encounter and then meet again unexpectedly. While they're both young professionals, having very different relationship backgrounds and experiences leaves them a bit out of their league when it comes to one another. I am so in love with this cover because my characters meet on the beach and I asked the designer (Regina Wamba of Mae I Design) to give it an ocean water feel. She did such a wonderful job! I hope y'all like it as much as I do! Caisey loves chatting with readers online so drop her a note at any of the above!